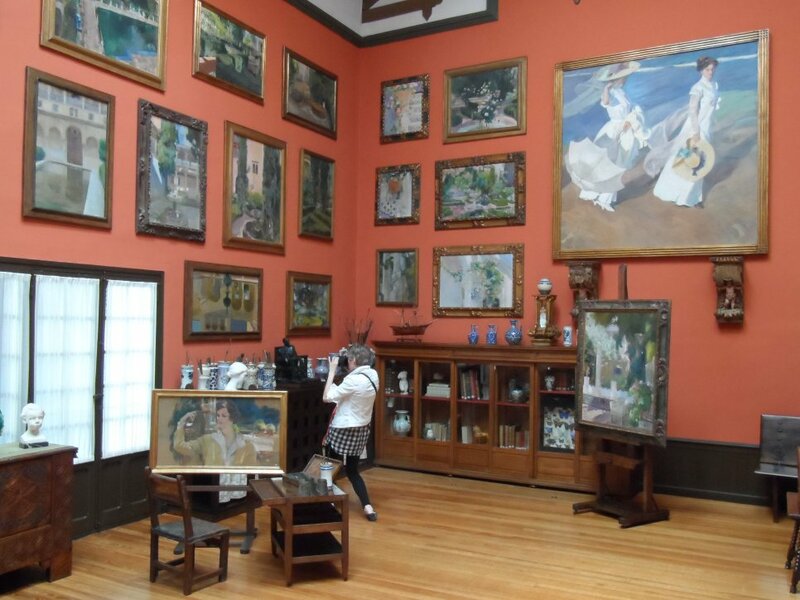 In my final look at the Spanish artist Joaquín Sorolla I want to show you some of his portraiture work which featured his family and finally take a look at the house in which he and his family lived and which would later become a museum in his honour. 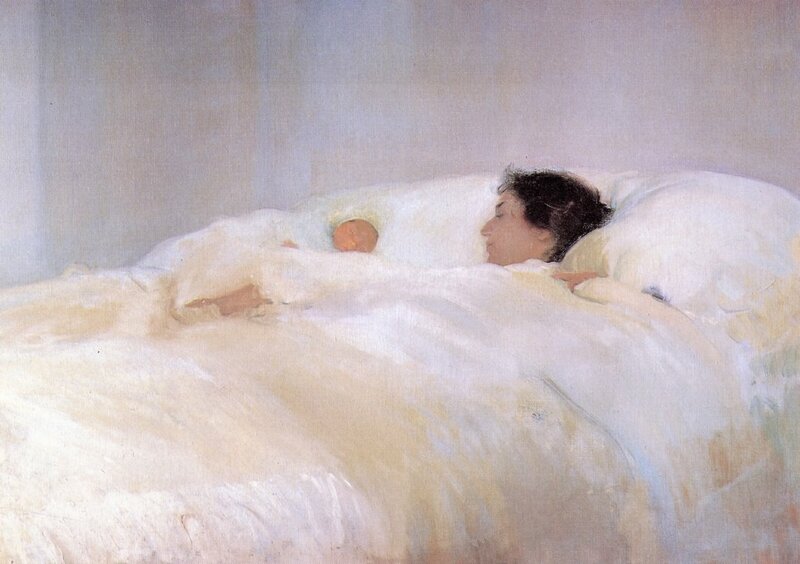 One of the most moving family portraits by Sorolla was of his wife Clotilde, laying in bed with their new born baby, their youngest child, Elena. The painting is simply entitled Mother and was completed in 1895. His wife looks lovingly towards her daughter who is swaddled in a mass of white bedding contrasted by the artist’s yellow/green tonal shading of the bed clothes. 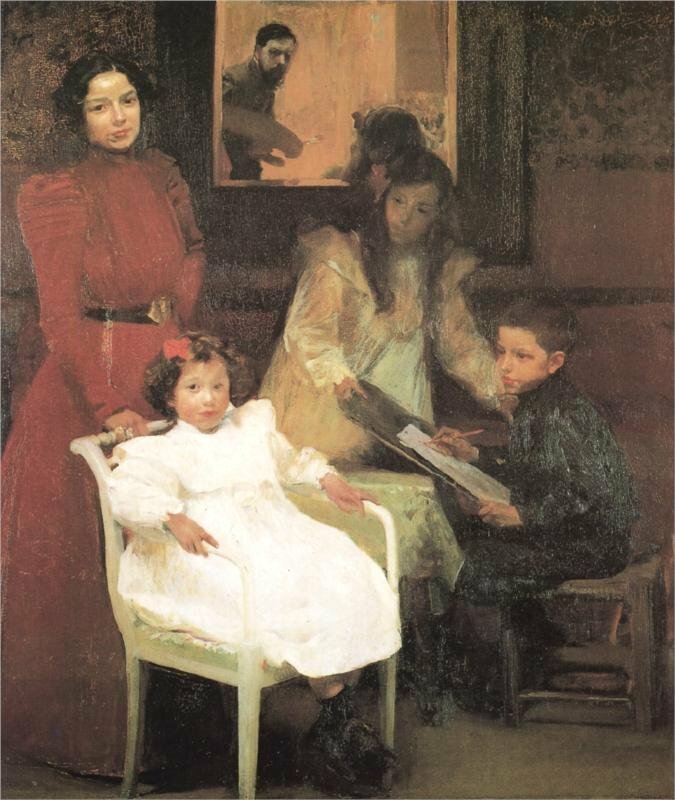 In 1901 Sorolla completed a portrait of his family entitled My Family, which somehow reminds us of Diego Velazquez’s Las Meninas, where the painter showed in the background a mirror that reflects the upper bodies of the king and queen. They appear to be placed outside the picture space in a position similar to that of the viewer. In Sorolla’s painting we see his image, palette in hand, in a mirror in the background. The main figures in the painting were those of his family. His wife Clotilde stands to the left in a long red dress along with her children. Elena, the youngest, sits on the chair was five years old at the time. Their nine-year old son Joaquín sits on a stool sketching a picture of his sister whilst their elder daughter, Maria, who would have been eleven when her father completed the work, holds the board which her brother is using to support his sketch. Six years later he completed another two portraits of Maria. 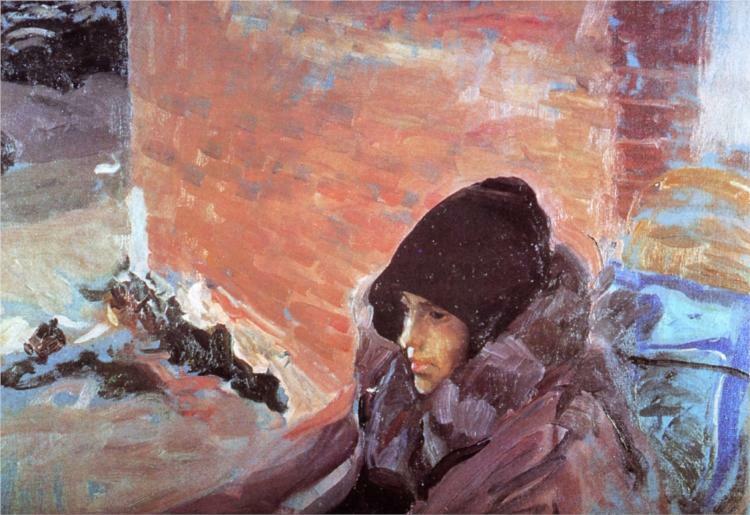 The first, entitled Maria Sick, completed in 1907 depicts his daughter sitting outside, well wrapped up in heavy but warm clothes. She was recuperating in the mountains outside of Madrid having come down with an illness. Sorolla himself was supposed to have been in Germany at this time, to be present at the one-man exhibition of his work at Berlin, Dusseldorf and Cologne organised by the Berlin gallery owner, Eduard Schulte. 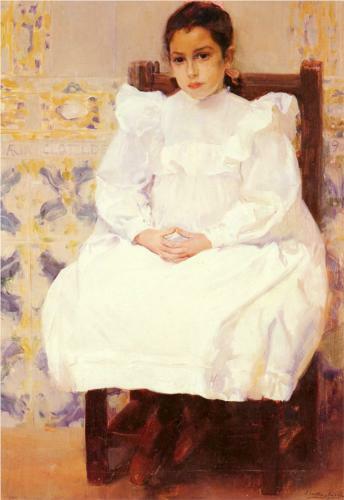 However Sorolla refused to leave his daughter at a time when she was so unwell. That same year, following the recovery from her illness, her father painted another portrait of her, entitled Maria Painting in El Pardo. The work depicts his daughter seated on a hill top, close to the royal palace, painting en plein air. 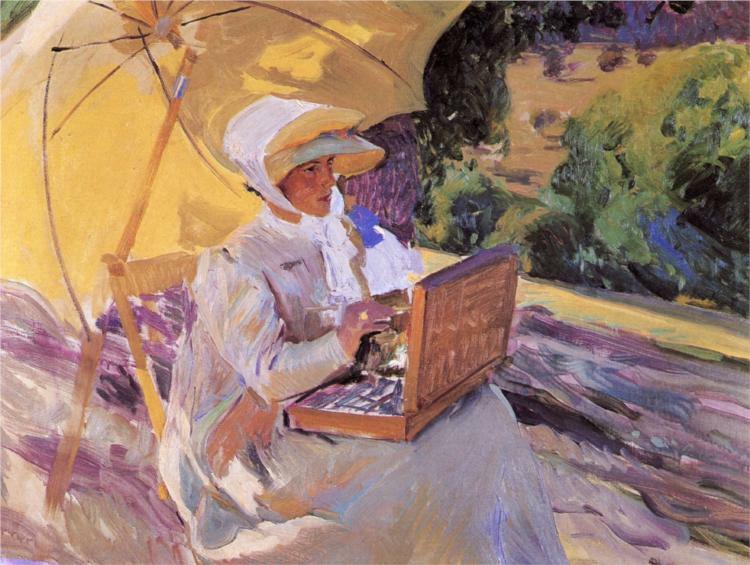 However Joaquín Sorolla’s favourite muse was his beloved wife Clotilde whom he had married in 1888. She featured in a large number of his works. 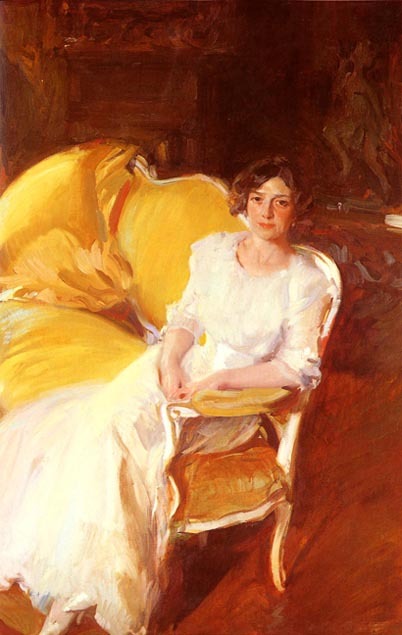 I particularly like the one he painted in 1910 entitled Clotilde Sitting on the Sofa. Art historians believe that the painting was influenced by the works of the American painter John Singer Sargent. His wife leans against the arm of a sofa, dressed in a full length gown. 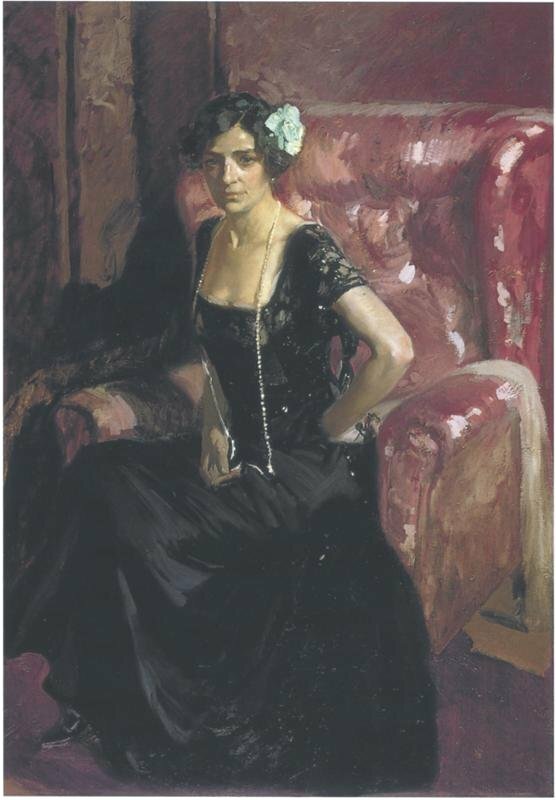 Another beautiful painting of his lovely wife was completed that same year entitled Clotilde in Evening Dress and from it, it is plain to see that Sorolla had married a beautiful and enchanting person. We see her sitting upright in a plush, well upholstered red chair, dressed in a black evening dress with a blue flower tucked behind her ear. She is the personification of a Spanish lady. The fourteen murals were installed on December 1922 in the newly renovated western extension to the Hispanic Society’s Main Building, which is now known as the Sorolla Room. They were not officially inaugurated until January 1926. 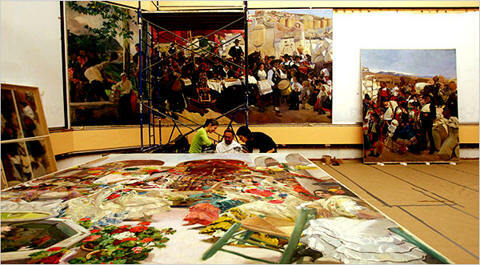 Panels from “Vision of Spain,” Joaquín Sorolla’s panoramic mural, during reinstallation at the Hispanic Society of America in New York City. The Hispanic Society building had problems with their roof and it got so bad that in 2007 the museum had a full make-over and the picture above shows the re-installation of the fourteen paintings. His eight years on this project was at the expense and detriment of his other work and sadly nearing the end of this project his health began to deteriorate and in June 1920 he suffered a stroke which ended his painting career. 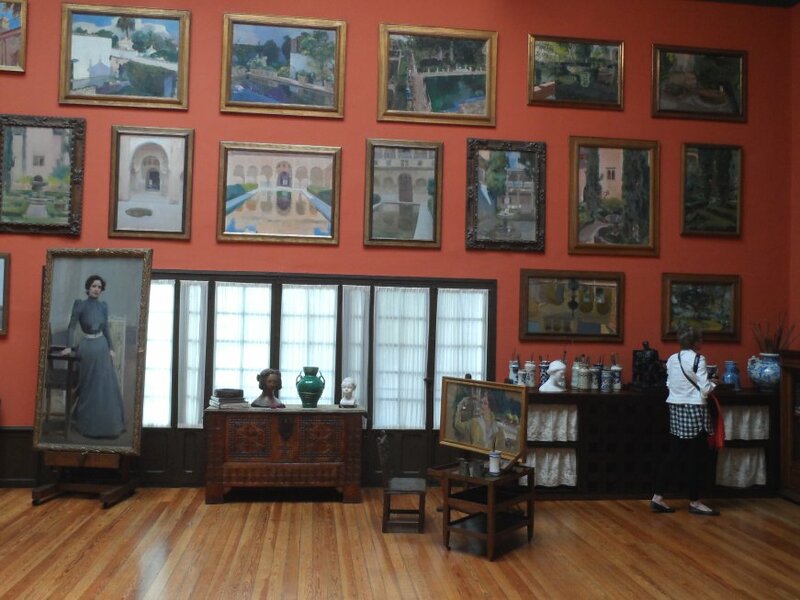 One can only imagine how devastated Sorolla must have been not being able to paint. Three years later in August 2010 Sorolla died in Cercedilla, a small town in the Sierra de Guadarrama, north-west of Madrid. His body was taken and buried in the town of his birth, Valencia. 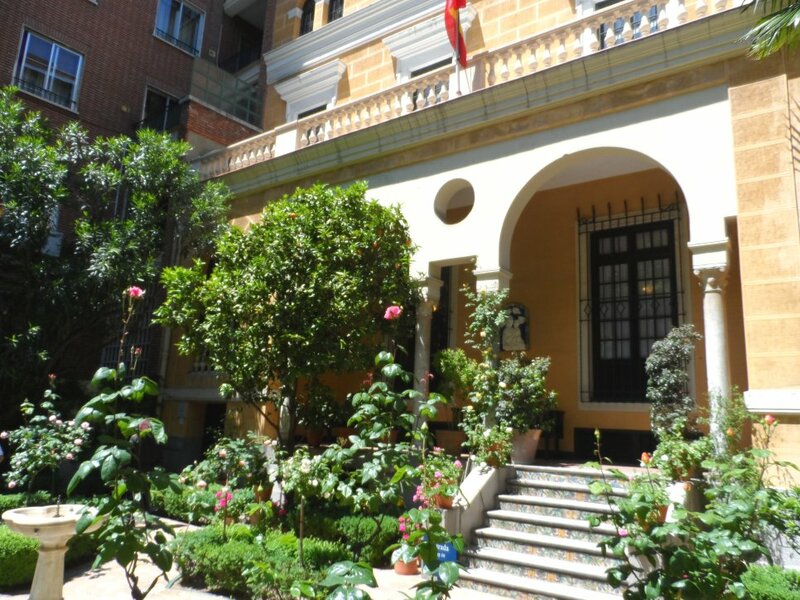 I cannot end this trilogy of blogs about Joaquín Sorolla without mentioning the Sorolla Museum which was the artist’s home from 1911. 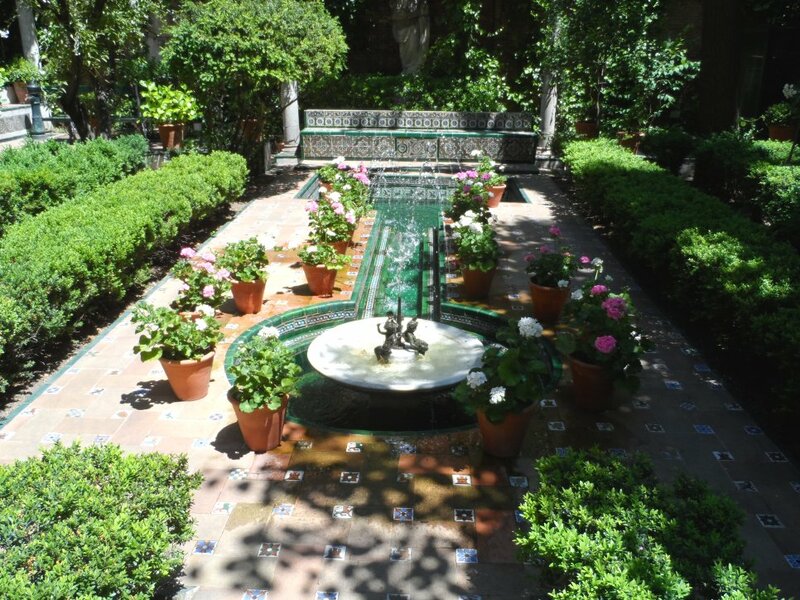 It is a five minute walk from the Ruben Dario Metro station and I do urge you to visit it if you are in Madrid. You will not be disappointed. There are so many of the artist’s beautiful paintings on show and the gardens are a delight.